Regency Bullseye Fireplace With Cast Iron Insert. This Regency Bullseye fireplace was just one of five fireplaces we installed in a magnificent house in Maida Vale, London. 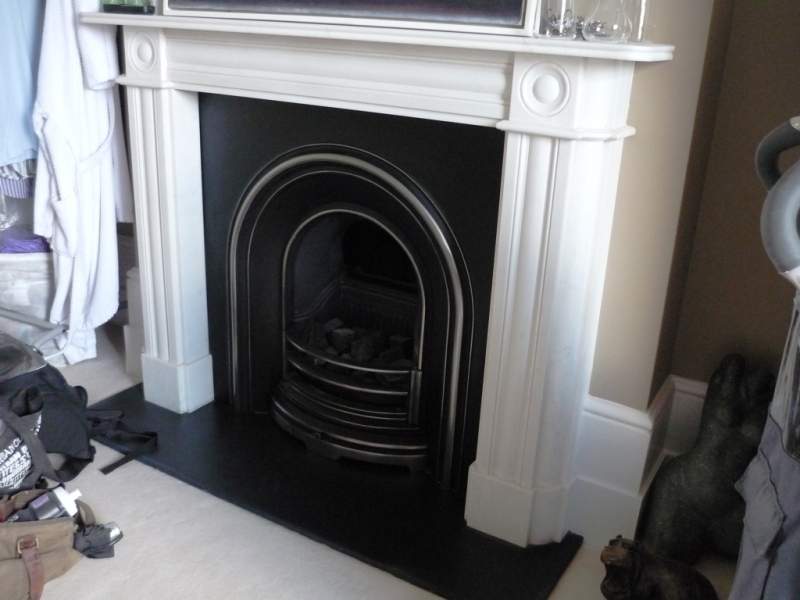 The client chose an arched cast iron insert to compliment the Regency Bullseye fireplace. Furthermore, we installed a remote controlled gas fire making the finished fireplace a stunning addition to the main bedroom.